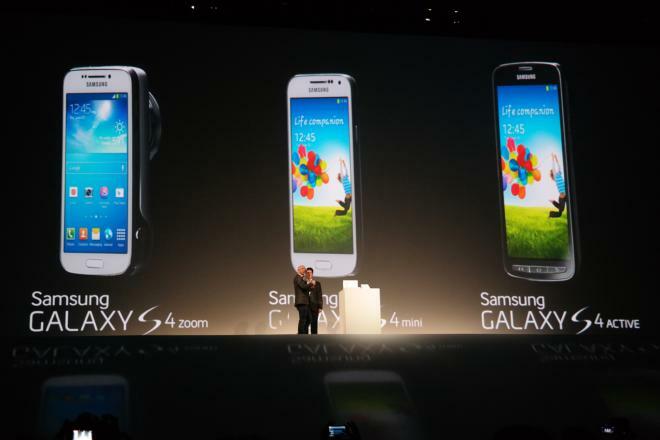 Here at the Samsung Premiere 2013, the company has, for the first time, showcased its entire Galaxy S4 family of devices in one venue. 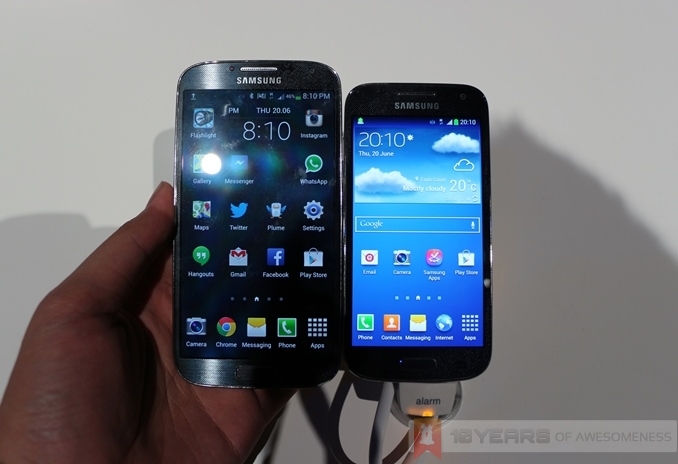 With Samsung proclaiming that the Galaxy S4 family “is now complete”, let’s take a look at the entire Galaxy S4 range by Samsung – the Galaxy S4 (with its range of new colours), the small but powerful S4 Mini, the IP67-certified S4 Active and the S4 Zoom, with its 10x optical zoom lens. 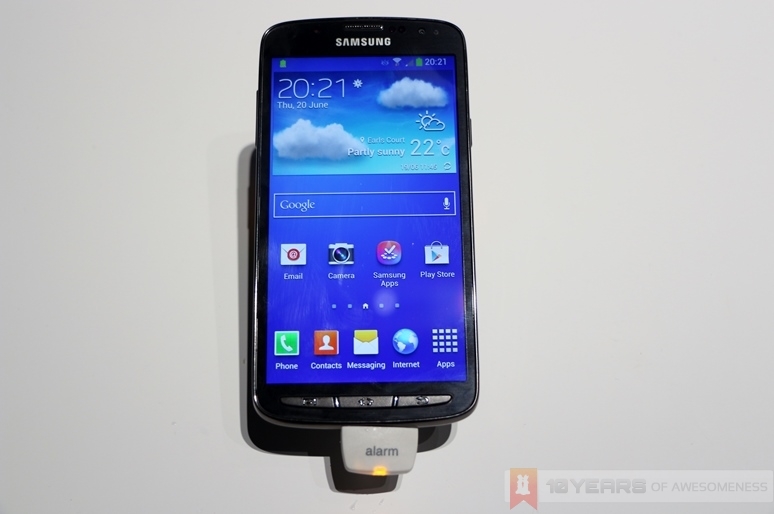 While it has already been in the market for about three months, Samsung were not about to let the audience forget about the runaway success that is the Galaxy S4 smartphone. 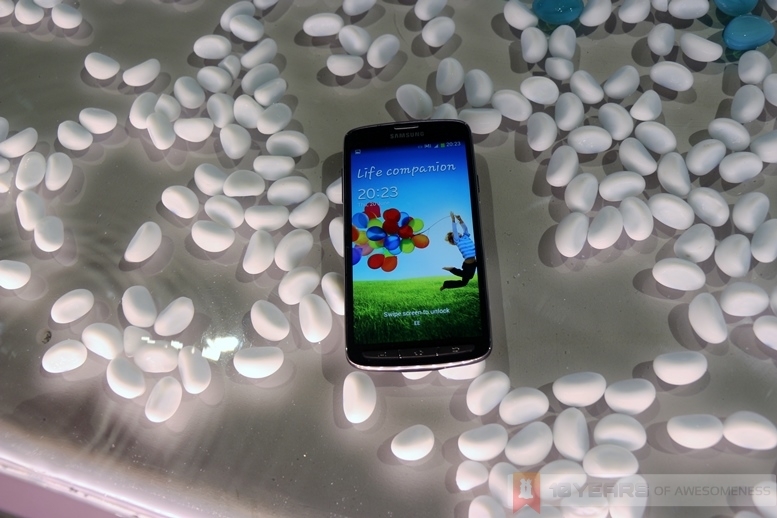 During the event, the company constantly noted that the success of the S4 – and the feedback received from its users – were the reasons behind the company’s release of new additions to the Galaxy S4 family. 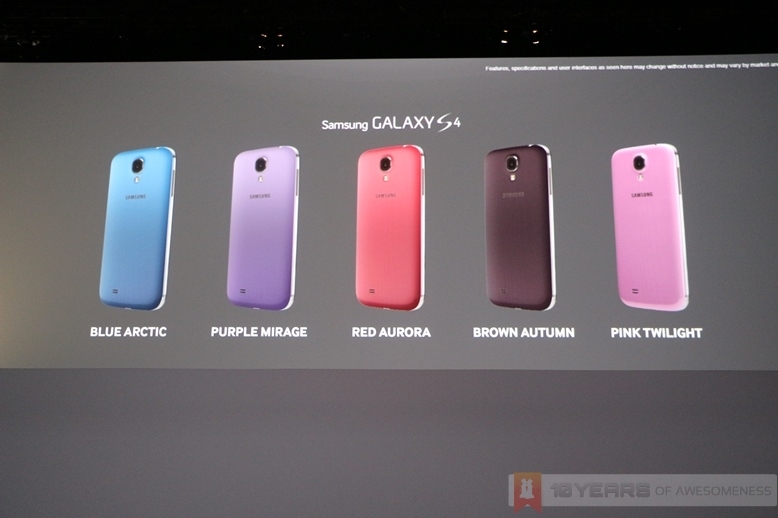 In turn, the Korean company has also announced five vibrant new colours for the Galaxy S4, with equally evocative names: Blue Arctic, Purple Mirage, Red Aurora, Brown Autumn, and Pink Twilight. 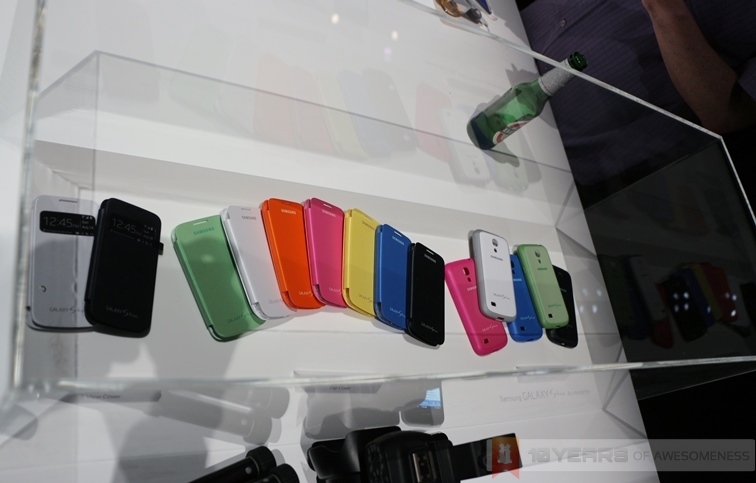 The Galaxy S4 Mini was also present at Samsung Premiere 2013, in both colourways. 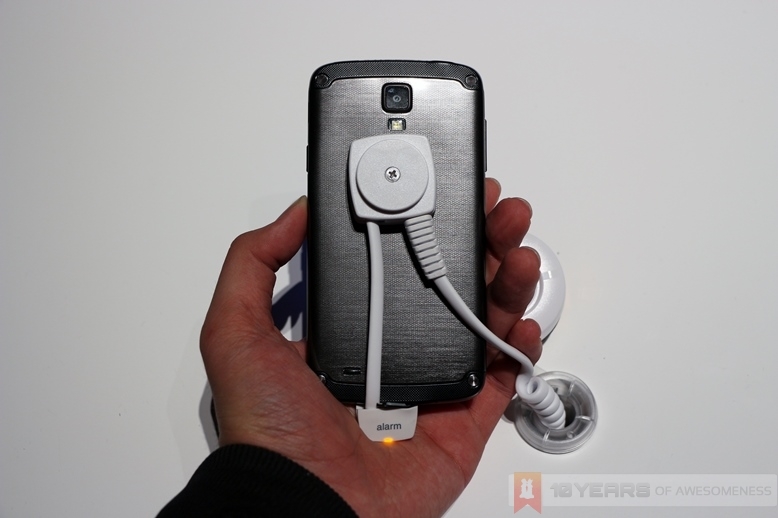 As we know, the Galaxy S4 Mini is powered by the new Qualcomm Snapdragon 400 1.7GHz dual-core processor with 1.5GB of RAM, making it one of the more powerful mid-range devices in the market. 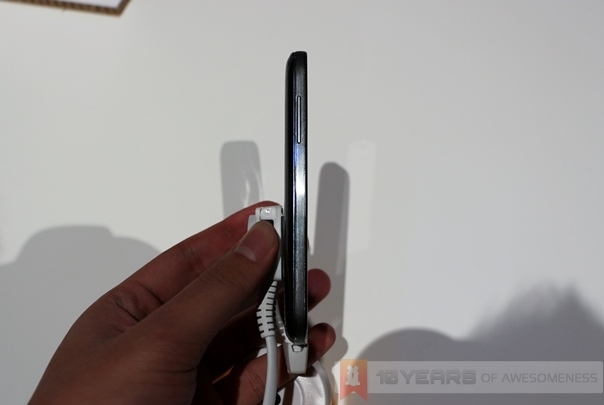 The Galaxy S4 design cues are also very evident on the S4 Mini, with the company leveraging on the S4’s success while providing consumers with a choice of a slightly smaller package, but very much a Galaxy device. 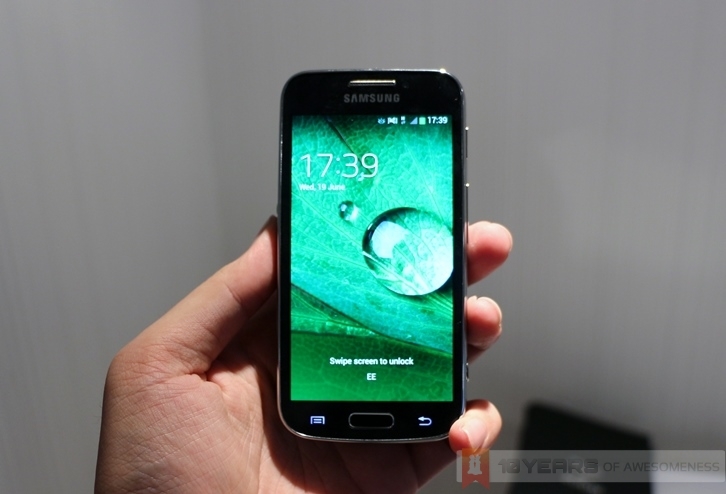 It also serves as the blueprint for the hybrid smartphone/digital camera that is the Galaxy S4 Zoom. 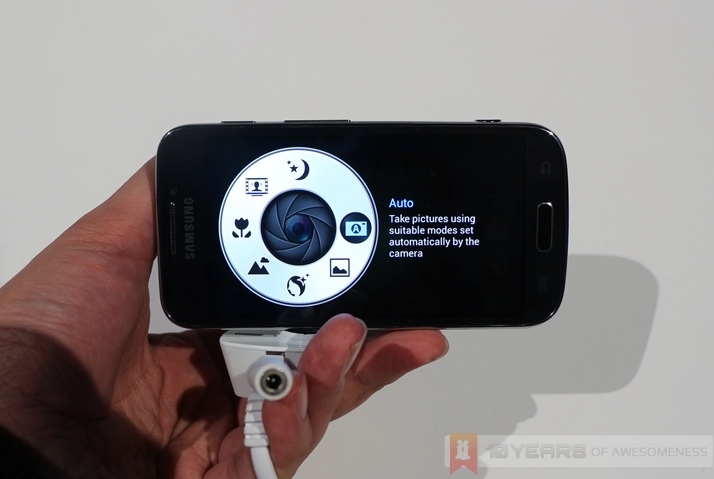 Samsung proudly hails the Galaxy S4 Zoom as “the only smartphone with 10x optical zoom” in its 16MP camera. 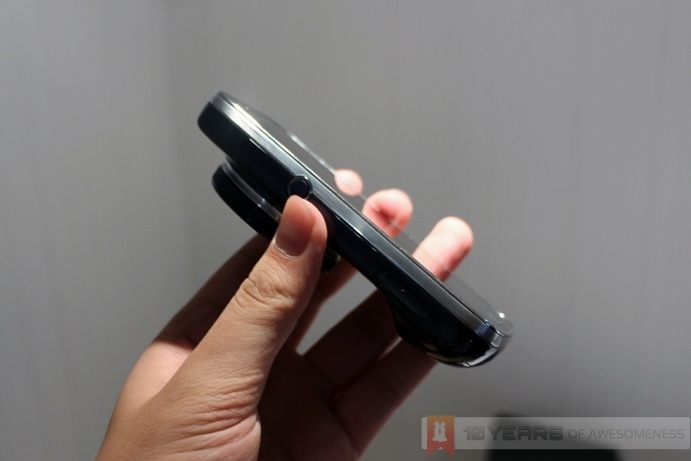 We’re still unsure of what to make of this hybrid smartphone, despite spending some time with it. 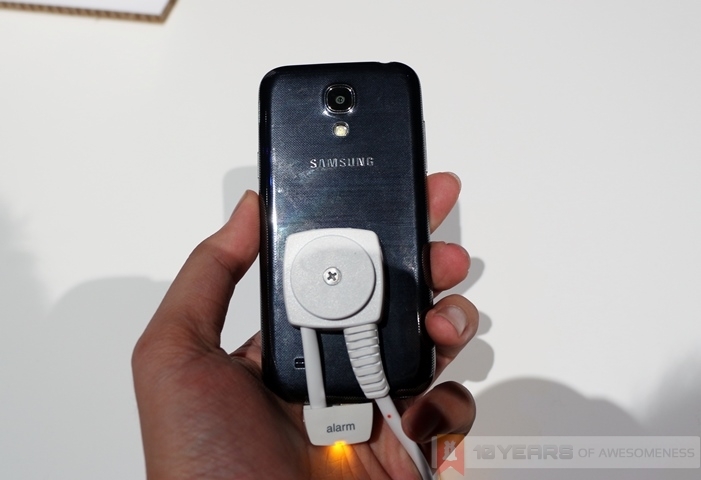 We’re very sure this is a device that will split opinion as much as the original Galaxy Camera, which was panned for its sub-par image quality but was a commercial success with consumers, who proved to be looking for a decent Android-powered smartphone with 3G and WiFi. 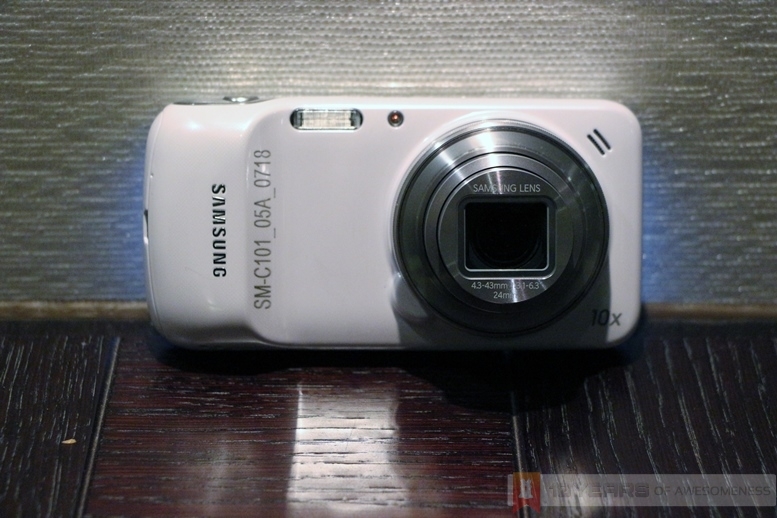 Unlike the Galaxy Camera, however, the S4 Zoom is much more of a smartphone. 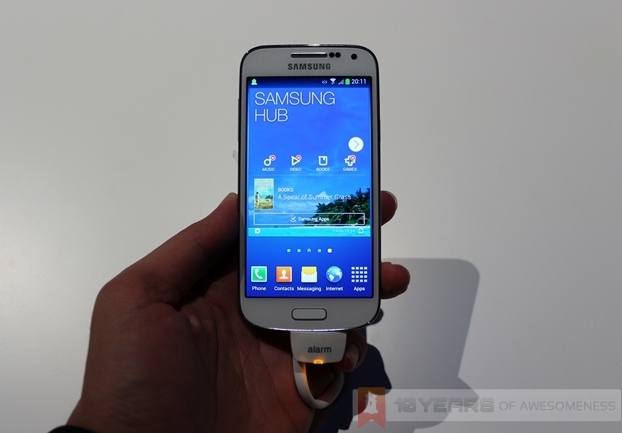 In fact, if you looked at it from the front, it looks exactly like a Galaxy S4 Mini. Turn it around, and you’ll see a massive 16MP sensor that looks like it belongs to a digital pocket camera more than on a smartphone. 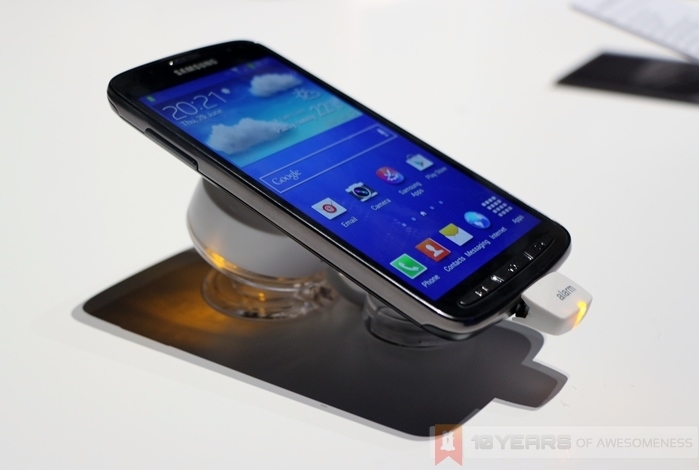 We’re particularly curious how this device will turn out when it is eventually released. 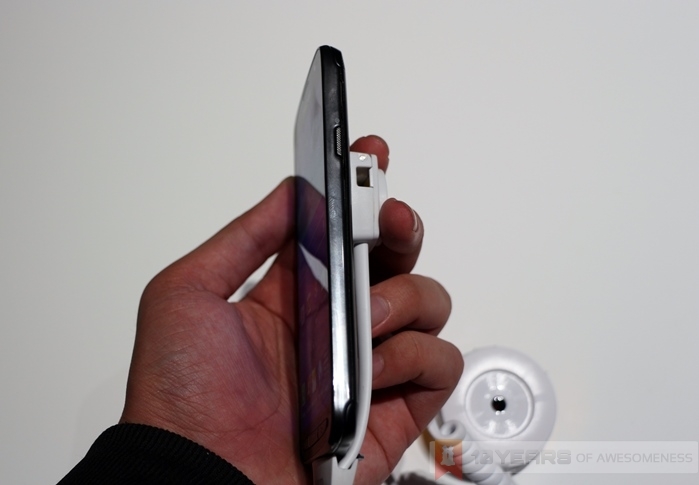 One of the major complaints against the Galaxy range of smartphones is the apparent lack of durability and all-round “cheap” feel of the materials used for the devices, even on the highest-end Galaxy S4 and Galaxy Note II. 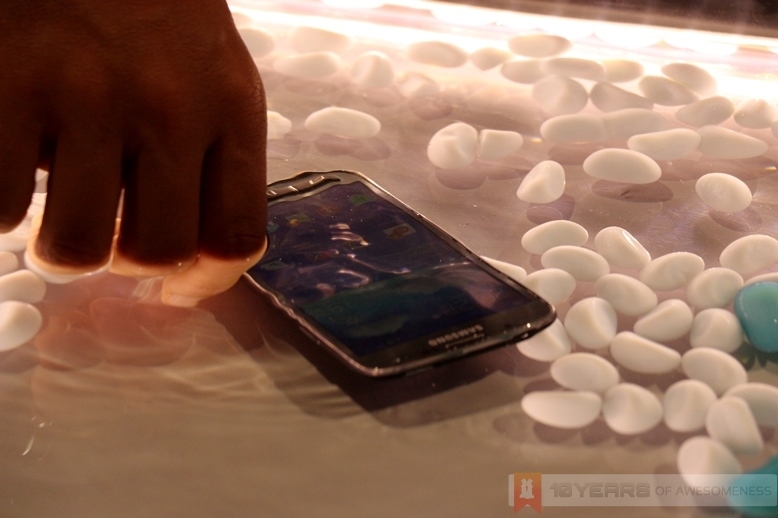 In response, Samsung crafted the Galaxy S4 Active, the first internationally-released Samsung smartphone to feature IP67 rating for dust and water resistance. The IP67 rating means that the S4 Active will survive under 1m of a body of water for 30 minutes, as well as in dusty environments. 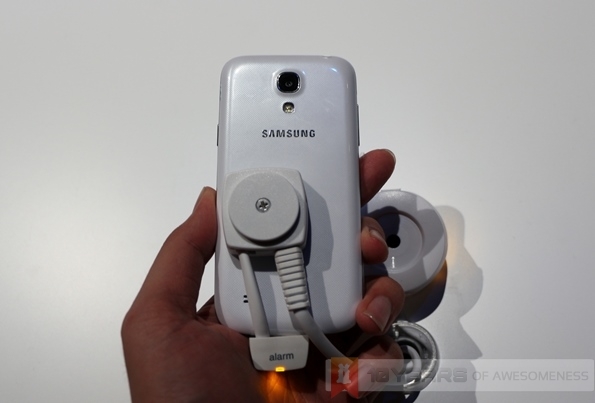 Samsung also added a new Aqua Mode only found in the S4 Active, which not only allows users to snap pictures underwater using the volume rocker as a shutter button, but also enhances the images shot underwater.